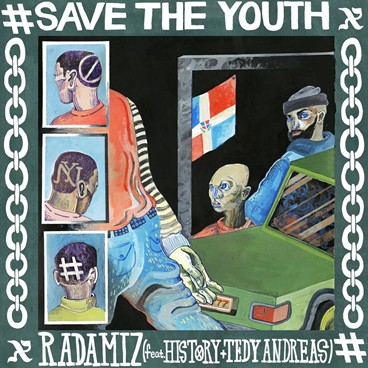 Payday Records' Rapper Radamiz Drops "Save the Youth" Featuring History & Tedy Andreas | RESPECT. Today, Brooklyn native and one of XXL’s “15 New York Rappers to Look Out For”, Radamiz releases his latest song “Save The Youth” via Payday Records as a taste of what’s to come on his forthcoming project. Featuring a low vibrating baseline with major ethereal samples, “Save the Youth” is as pleasing to the ear as the message is to the soul. The deep cuts paired with fast flows, clever lyricism, and a catchy hook that repeats “aim and shoot / save the youth” come together to illustrate a musical picture that reflects not only the talent that’s on this track, but also the personal experiences and stories that create all of us, especially Radamiz, Andreas, and History. While this track is a tribute to the struggles of our nation’s youth today and of years past, Radamiz delivers his verse in a positive light, looking to the future instead of dwelling on any negativity of the past. “Save the Youth” is a sonic glorification of the light we can find in our darkness, how we can overcome our pain and come up to the surface to take a deep breath. Brought up by Dominican-immigrant parents in Bed-Stuy, Brooklyn’s Sumner Projects complex, 25-year-old MC Radamiz’s story is unlike a story told before. 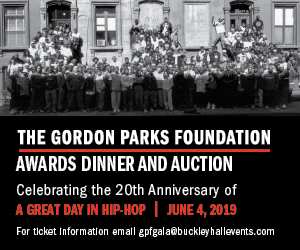 Being influenced to start rapping at the age of 12 outside of his first job packing groceries outside of a local supermarket, Jadakiss, Notorious B.I.G., Jay Z, Eminem helped shape the young MC’s idea of what a great lyricist was supposed to sound like.